The first films seen in New Zealand were advertised as The Barber's Shop, The Fire Rescue Scene, The Chinese Laundry and Annabelle's Graceful Butterfly Dance. The Kinetoscope exhibitor was Alfred Henry Whitehouse, born in 1856 in Birmingham, England. 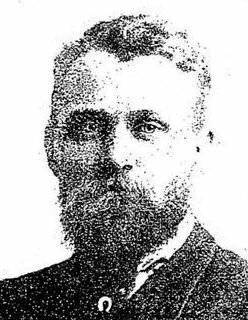 The family moved to New Zealand when Alfred was a child and by 1878 he was a bootmaker, and later landowner, local politician, and musician. Following the death of his first wife Matilda, in the 1890s he travelled internationally, and toured New Zealand with an Edison phonograph before exhibiting four Kinetoscopes from 29th November 1895 at Bartlett’s Studio, Queen Street, Auckland. Admission price was 1s. (children 6d.) New films were substituted after three weeks. Whitehouse soon introduced the Kinetophone (or a Kinetoscope converted to include a Phonograph); films included Annabelle’s butterfly dance with music by the Paragon Trio. He toured the Kinetoscopes from February 1896 to January 1897, then sold them. On returning from overseas travels, he remarried and toured North island with an Edison projector as ‘Mr Whitehouse’s Kinematograph’; by early 1898, one of perhaps a dozen rival shows. He acquired a camera and with the help of photographer W.H. 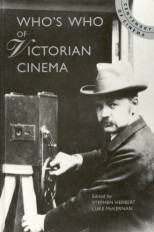 Bartlett (whose studio had been the original kinetoscope venue) filmed the opening of the Auckland Industrial and Mining Exhibition on 1 December 1898, with a screening at Bartlett's studio on Christmas Eve – the first public screening of a New Zealand film. Two days later Bartlett filmed the Auckland Cup Race at Ellerslie, shown on 30 December. In 1899 Whitehouse made an extensive tour of the North Island with the first 'Animated Pictures' taken in New Zealand, including The Departure of the 2nd Contingent for the Boer War (the only film of his to survive, New Zealand's earliest), and Men’s Canoe Hurdle Race. Having produced ten films, in 1900 he travelled to the Exposition Universelle Internationale in Paris, returning with a ‘Biochronoscope’ projector - probably a Gaumont machine - and new films, boasting ‘We defy competition, and laugh at comparison’. His shows included Theatrophone (Phonograph) recitals, and sometimes a live song from Whitehouse himself, but he made no more films. For some years his Bioscope and Star Variety Company continued exhibiting, and Whitehouse retired about the time of his second wife Ada’s death in 1910, as cinemas began to flourish. The passing in 1929 of New Zealand's first film exhibitor, who during his life had gained a reputation for a somewhat combative nature, went largely unnoticed.